Our client looks for those who challenge convention. What makes their people extraordinary is what makes our client Out of the Ordinary. Our client encourages a culture of respect and a working environment that nurtures extraordinary performance. They have asked us to find female candidates that shares passion, client focus and an entrepreneurial spirit for the role of Senior Originator – Power and Infrastructure Finance – European Lending. The individual will have prime responsibility for originating lending transactions (senior and/or junior debt) in the power & infrastructure sector with a focus on non-core infrastructure (including without limitation port, airport, telecom and other monopolistic assets / businesses) across Europe. You will also be establishing and managing key client relationships in the sector. In addition, the individual will be responsible for ensuring the successful execution of deals that have been originated by co-ordinating with individuals in the PIF team tasked to execute such transactions and (inter alia) the credit team. In parallel, the individual will have to co-ordinate with the Banks Institutional Sales Group (ISG) to ensure that the transactions originated and closed can be successfully syndicated to the prescribed hold levels. Coordination will include inter-alia discussing and agreeing pricing levels & key structural terms for such transactions. 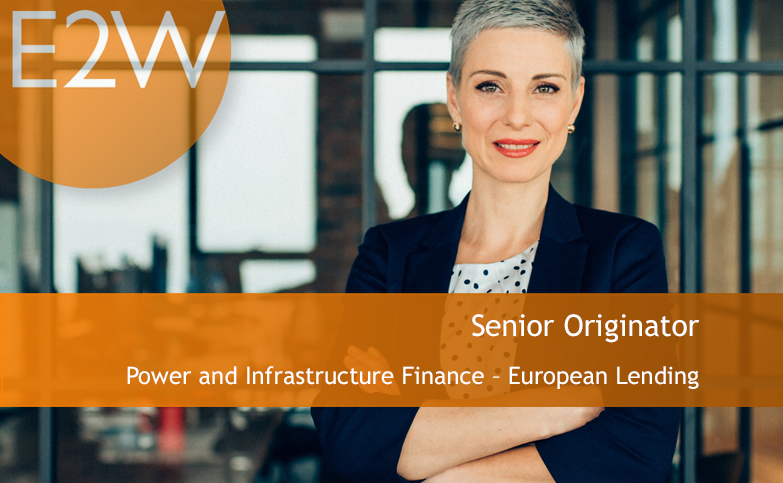 You will report to the Head of power & infrastructure European Lending and will have access to wider resources (including Legal), which you will share with other senior originators in the power & infrastructure lending team.